Montana State University's College of Agriculture and MSU Extension will host a public conference on equine nutrition and health. The conference is set for Saturday, March 28, from 8 a.m. to 4 p.m. in Linfield Hall 125 on the MSU campus. The conference will include information on equine gastrointestinal health, metabolic diseases and performance feeds. 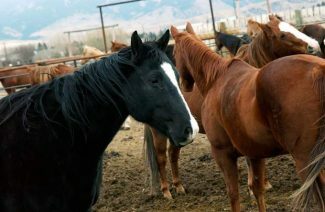 Talks will be given by MSU Extension specialists and representatives from Montana Equine Medical and Surgical Center and Kentucky Equine Research. The cost of the conference is $15 and includes lunch. To register, contact the MSU Department of Animal and Range Sciences at (406) 994-7953 or email Julie Hagar at jhager@montana.edu. Checks may also be sent to PO Box 172900 Bozeman, MT, 59717. The public is encouraged to register for the conference by Friday, March 20.